Why Buy the 2019 Maserati Levante SUV? Why Buy or Lease a New or Used Maserati from this Tampa Maserati Dealer? 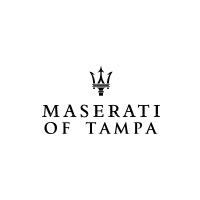 Leading Dealer to Buy a New or Used Maserati in Tampa or St Petersburg? Premium Maserati Dealer Service in Brandon, Lakeland, and Wesley Chapel? Where Is the Best Dealer to Buy or Lease a Maserati in Tampa?